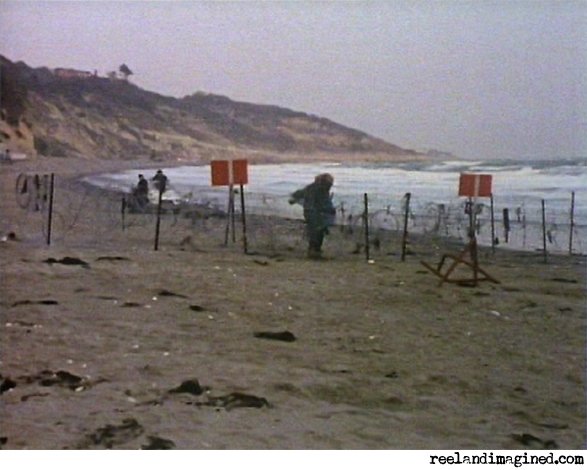 The scene in question comes at the end of episode three: the Doctor (in his third incarnation, or Jon Pertwee guise) and his companion, Jo Grant (the ever-adorable Katy Manning), have to face down a Sea Devil, who emerges from the sea on the command of the Master, who has cunningly built a machine for this very purpose. Of course, it all comes good for the Doctor at the start of episode four. Thanks to a nearby minefield, which he has to navigate, and the use of his trusty sonic screwdriver, he’s able to detonate mines and scare the ancient, ocean-dwelling beastie back to the salty, wet stuff. But it’s a headache he could no doubt have done without. Having said that, I’d love to tell a Sea Devil to wind its neck in. In 2010, the path to Whitecliff Bay is an unusual one. To access the beach, you have to walk through a holiday park, which gives it an air of exclusivity – it’s as if the bay is reserved for the use of people staying at the park: a beach in their back garden. The steps to the bay run quite steeply down the side of a cliff, at the bottom of which awaits a cafe and shop, for all your Cornetto and inflatable-crocodile needs. There are very few people around as I set foot on the sand. Nearby, a party of supervised children spell out the name of their school in pebbles, while in the distance, a young couple play with their girls in the surf. 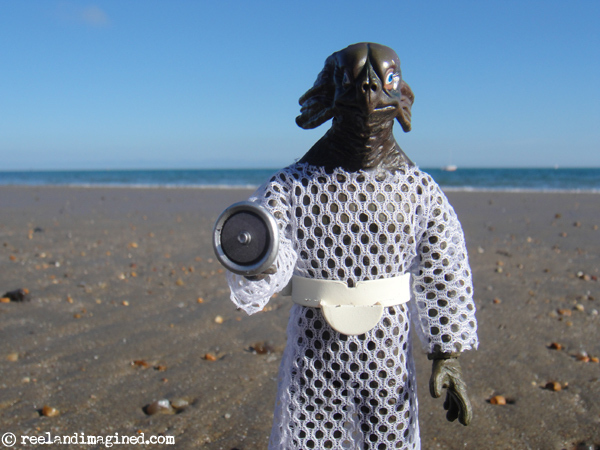 As the sun beats down on my back from a beautiful, blue, cloudless sky, I’m satisfied that the conditions are perfect for me to whip my toy Sea Devil out of my inside pocket and have a little play with it on the rocks and beach, while taking some snaps for the family album. Unfortunately, in my excitement, I forget to refer to the screenshots I’ve printed to aid me in my quest for visual authenticity, relying instead on memory and luck when clicking the shutter. Silly really, but it makes sense to me in the moment: the vibe of the place is what matters. 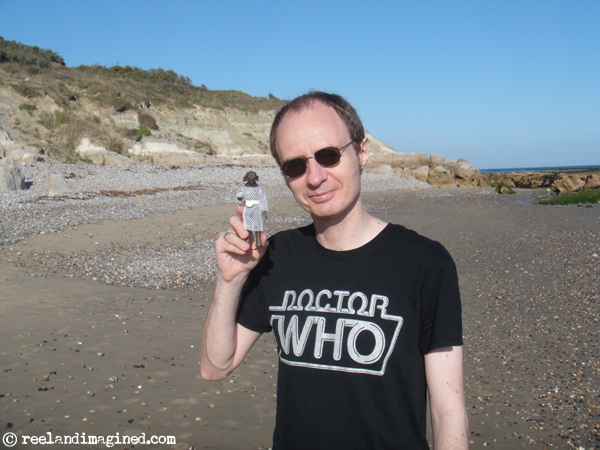 Quite frankly, I’m more than a little chuffed that my Sea Devil gets to stand on the same beach as its ancestor did in 1971. Do I really want to wipe the wet sand off its feet? It feels like a strange sort of christening. As late afternoon approaches, with the beach now totally deserted, I soak in the views one last time, before wandering over to the shop to buy a Cornetto (I give the inflatable crocodiles a miss). It’s Tuesday, but for some reason it feels like Saturday. Can’t think why. * Or, more accurately, it’s the one with all the Sea Devils that doesn’t star Peter Davison and a pantomime cow. For that, you’ll be wanting 1984’s Warriors Of The Deep. Thanks for your comments, Chris. Glad you enjoyed the post. 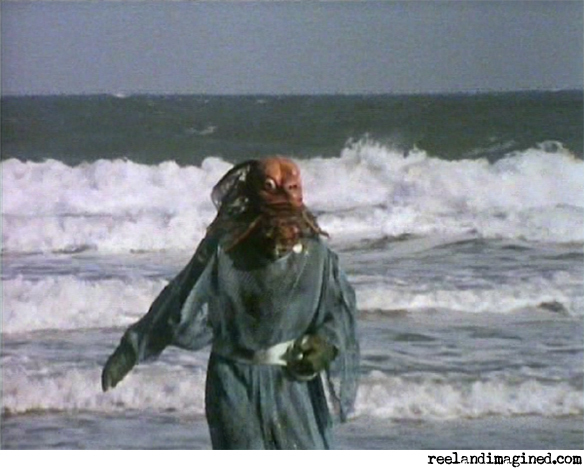 Personally, I’d love to see the Sea Devils in the new series, though I’d hope that they wouldn’t be redesigned too much. The originals were a wonderful creation. I hope you manage to bag Linda’s autograph somehow. She did another event earlier this year (Memorabilia in Birmingham), and she’s doing a US event in November, so she’s definitely up for public signings at the moment. Our Disappearing Planet seems to be her regular ‘agent’ (not really the right word in this context – it’s a charity) for this kind of work, so it might be worth checking its website from time to time.